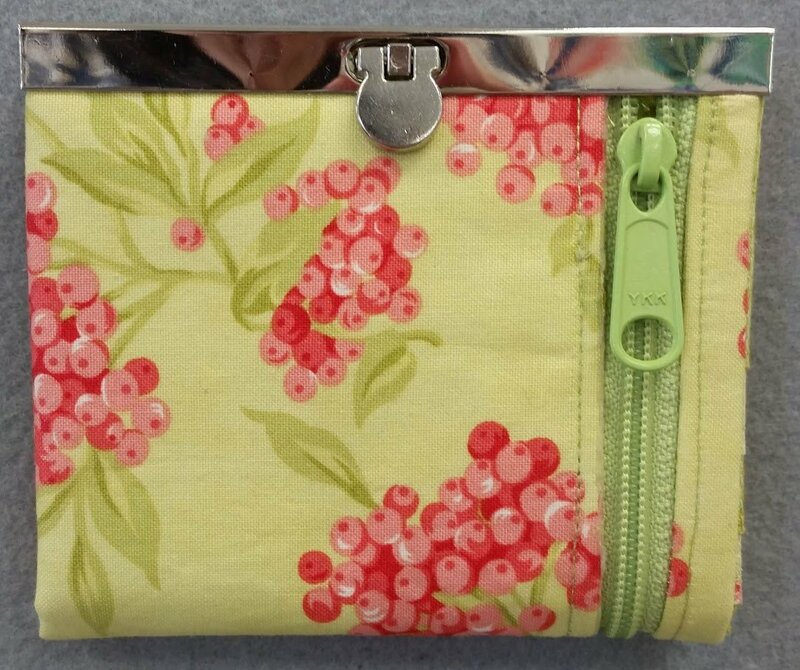 Running to the store or out to lunch and don’t want to take your purse, then this wallet is for you. Closed the wallet measures almost 4 ½'' x by 4'' and when opened 4 ½'' x 8''. The 4 ½'' metal clasp closure adds some sparkle to the wallet. 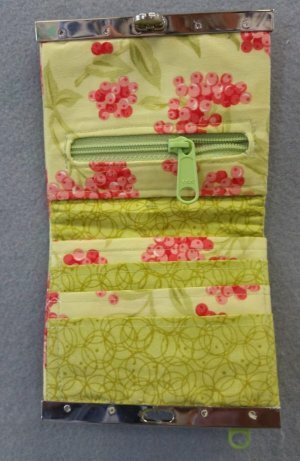 There is a large zippered outside pocket for your $$$$, lists, and receipts.